WHOO! Book 2 is finally here! I’ve waited a really long time for this… and I’m so very excited to say that I finally have the novella AND the first two books! … which is just how I like to review! Stories about strong-willed women in distant times seem to be very prevalent in the current market. I used to think it was a little silly – and unrealistic, but the more I research, the more I discover how realistic it really is… and I’m thankful to discover so many wonderful authors who write such amazing and accurate novels for us to enjoy. I can hardly wait for the next story… if for no other reason than to see where Jody will take this wonderful series. Can she forgive the hurting man who costs her the role she loves?After her father’s death, Caroline Taylor has grown confident running the Windmill Point Lighthouse. 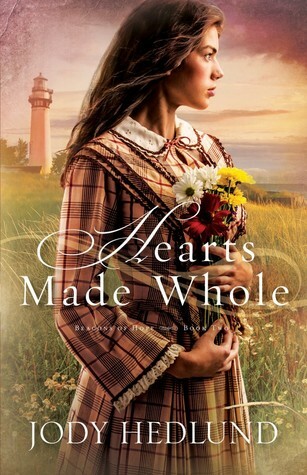 But in 1865 Michigan, women aren’t supposed to have such roles, so it’s only a matter of time before the lighthouse inspector appoints a new keeper—even though Caroline has nowhere else to go and no other job available to her.Ryan Chambers is a Civil War veteran still haunted by the horrors of battle. He’s secured the position of lighthouse keeper mostly for the isolation—the chance to hide from his past is appealing. He’s not expecting the current keeper to be a feisty and beautiful woman who’s angry with him for taking her job and for his inability to properly run the light. When his failings endanger others, he and Caroline realize he’s in no shape to run the lighthouse, but he’s unwilling to let anyone close enough to help. Caroline feels drawn to this wounded soul, but with both of them relying on that single position, can they look past their loss to a future filled with hope…and possibly love? Be sure to enter the LITFUSE contest going on too!